We are proud to announce the return of the MON Tremblant Program for a second consecutive year. Once again, following its first appearance as part of our 75th anniversary celebrations, we will be inviting 1,400 children throughout the month of January to try a snow sport for the first time. The children from 10 neighboring elementary schools will receive a special introductory day that includes their lift ticket, a two-hour lesson and their rental equipment, all offered free of charge. 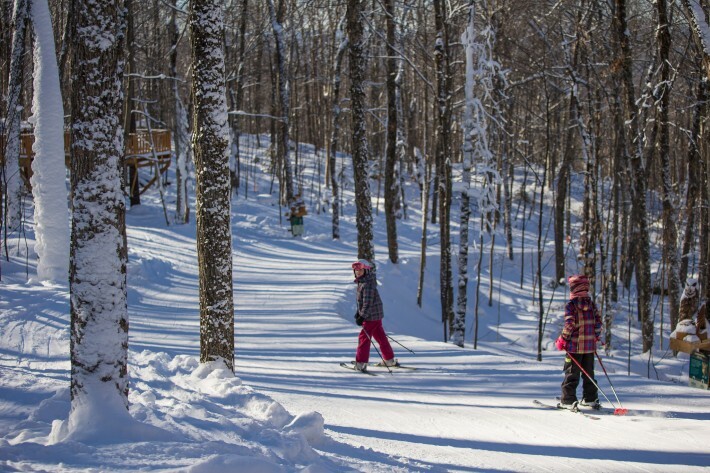 “The mission of the MON Tremblant Program is to help kids in our local community discover our mountain and experience the many pleasures of alpine sports. By improving access to the ski area, we hope to encourage futur generations to share our passion for skiing,” explains Annique Aird, Vice-President of Sales, Marketing and Communications at Station Mont Tremblant. Participating schools include: Pavillon Fleur-Soleil, Pavillon La Ribambelle, Pavillon Tournesol, Pavillon Trois-Saisons, École L’Arc-en-ciel, École L’Odyssée, École La Relève, École Le Carrefour, École Le Tremplin and Arundel Elementary School. 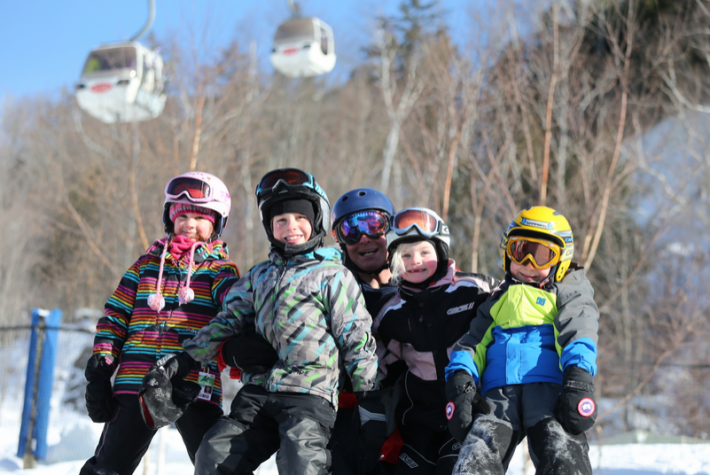 In addition to spending an exciting day at the mountain with their classmates, children will be given a MON Tremblant Pass permitting them to return as many times as they wish to practice their newly-acquired skills for as little as $7.50 per visit. The pass also offers discounts on junior equipment rentals and lessons, as well as a discount on lift tickets for each child’s two accompanying adults. The first edition of the MON Tremblant Program was a great success even receiving two major awards, namely l’Association des stations de ski du Québec’s Award of Excellence for the best new skier development program, and the Mont-Tremblant Chamber of Commerce’s Gala Event People’s Choice Award. So we are turning what was planned as a one-time event into a beautiful tradition of community engagement.